You can trust us for all your propane needs. 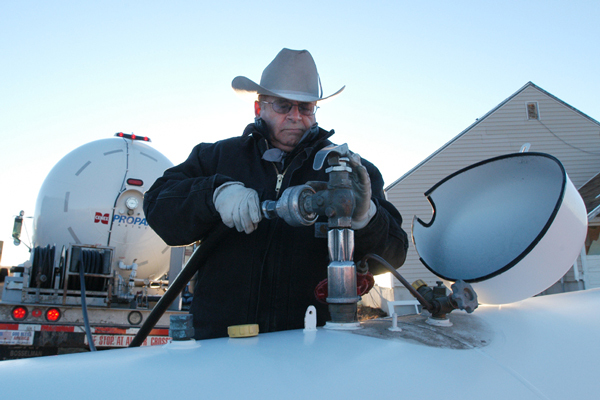 As a hometown business with a great service team, we deliver safe, dependable propane gas to homes, farms and businesses throughout our service territory including the Sioux Falls area. We’re committed to making safety a priority, and we offer a full range of Cenex® products and services, including tools to help you manage costs associated with fluctuations in propane prices. Our experienced, approachable staff and trained delivery team members are always happy to answer your questions. Clean, efficient propane is an alternative fuel that helps cut emissions and protect the environment. In fact, it is the fuel source for more than 60 million Americans. Please contact us today so we can personally discuss your needs. Whether it’s propane to fuel your grill and home, or to power your forklift or grain dryer, we understand how vital propane is to you. That’s why we work hard to secure supplies year-round and to provide flexible payment/pricing options and propane delivery schedules for your convenience. And, we’re always ready to work with you to plan ahead and evaluate your propane storage needs for your farm or business.